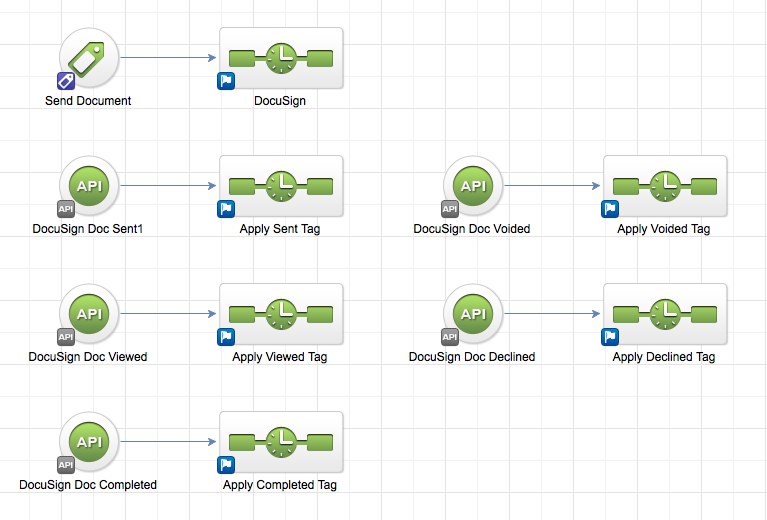 This is Part 2 of the DocuSign Integration through Parsey. This article will give you the basics on how to set up the Infusionsoft portion. 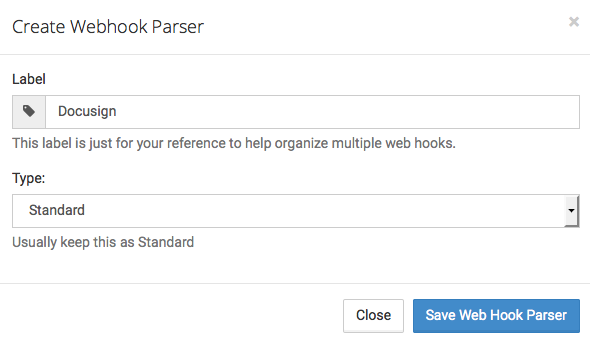 Inside Parsey, you will first want to go to your Webhook Parsers and click Create New Webhook Parser. Name your Parser. We recommend having one Parser for each document. Now copy the parser's webhook address. 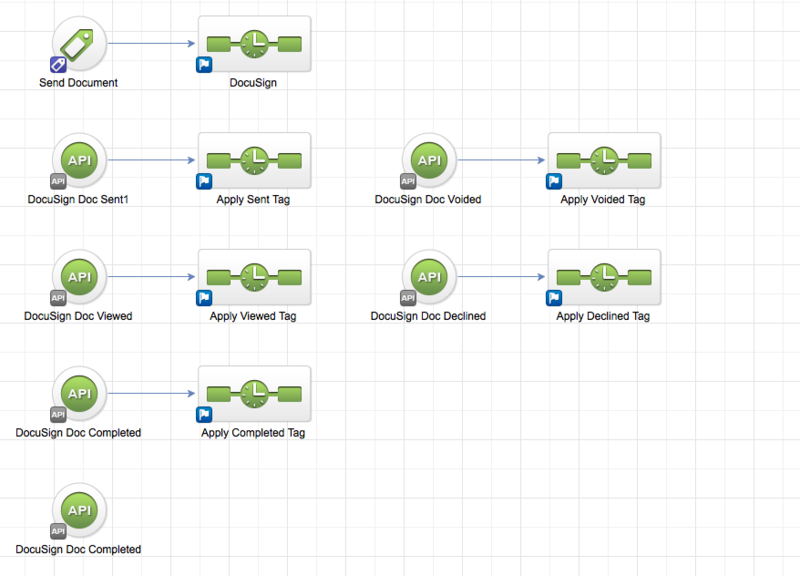 Inside Infusionsoft, you will want to arrange your Docusign Campaign similar to this. Note: This is just an example, you can change it according to your own businesses process. Configure the Send Document tag this way. 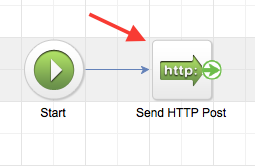 Open the Docusign sequence and enter the HTTP Post configuration. Paste the URL that you copied from Parsey into the Post URL field. Then add all of the fields that you want merged into the document by using the Merge button. First Name, Last Name, Email, and ContacId are required. This is the end of Part 2. Please continue to Part 3.